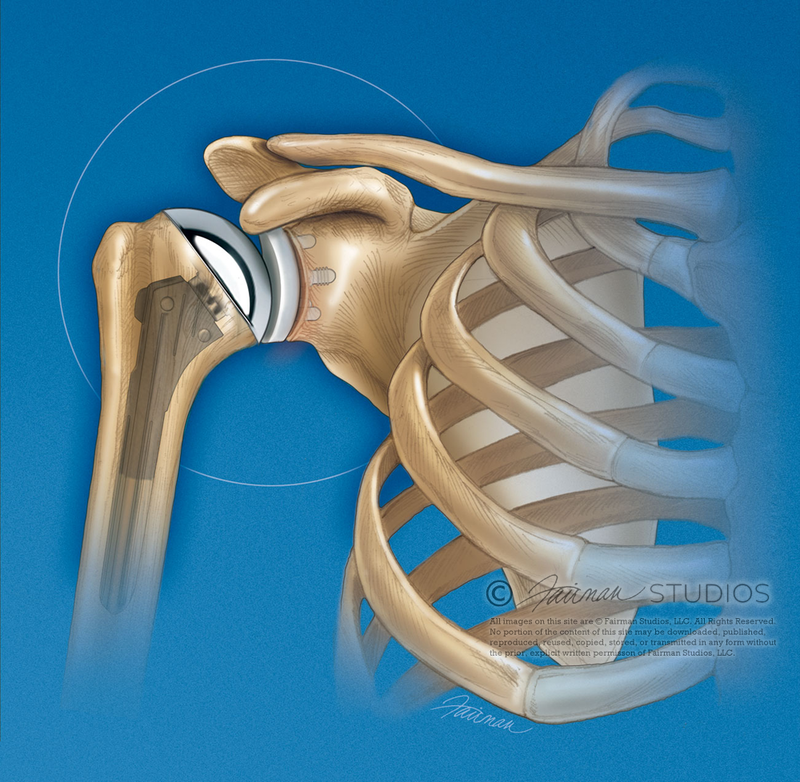 This illustration was commissioned for Arthroscopically Assisted Conversion of Total Shoulder Arthroplasty to Hemiarthroplasty With Glenoid Bone Grafting by Surena Namdari, MD, MSc; and David Glaser, MD for publication in ORTHOPEDICS October 2011 issue (ORTHOPEDICS November 2011;34(11):862). Aseptic loosening of the glenoid component after total shoulder arthroplasty presents a considerable treatment challenge in the setting of substantial glenoid bone loss. Glenoid component explantation and bone grafting of defects has become a common methods of recreating bone stock in hopes of preventing later fractures, maintaining joint kinematics, and allowing for later glenoid reimplantation if necessary. While this has been traditionally accomplished via open techniques, we describe an arthroscopic-assisted method of glenoid explantation and bone grafting for cases of aseptic glenoid loosening with contained bone defects.